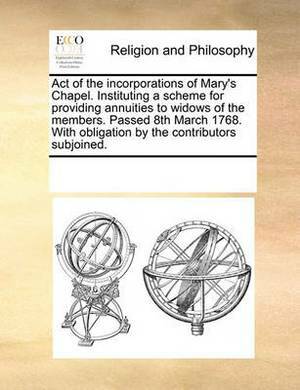 Act of the Incorporations of Mary's Chapel. Instituting a Scheme for Providing Annuities to Widows of the Members. Passed 8th March 1768. with Obligation by the Contributors Subjoined.